A recent grassroots movement geared towards a patient-centered approach is now transforming the way nursing homes operate. Not all nursing homes are catching on to this trend, but many are implementing the values of this movement to inform long-term care. Outdated models of long-term care can make skilled-nursing facilities seem sterile, impersonal, and overly medicalized. Folks entering skilled nursing facilities today have memories of their own elderly loved ones in these types of nursing homes etched into their minds. Memories of hospital beds, cafeteria-style food, and activities limited to playing bingo and cards in tiled, hospital-like recreational spaces. Our loved ones understandably may now resist skilled nursing facilities because of these memories. Placing your loved one into long-term care is a difficult decision. Life as your loved one knew it, warm, inviting, and homey may feel like a thing of the past. But, with skilled nursing home facilities participating in patient-centered care, it doesn’t have to be! So, what are some long-term trends changing the nature of elderly care? 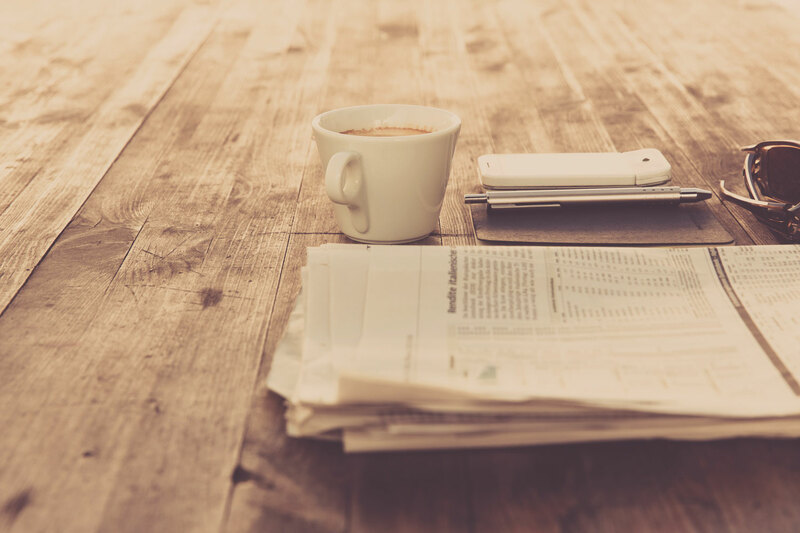 Read on to learn all about long-term care trends gaining popularity in today’s skilled nursing facility culture. Change can be difficult for everyone. When a loved one needs long-term care, these changes can seem daunting after having the same routine, home, and environment for many years. These 8 long term care trends seek to make the transition to skilled nursing facilities less shocking and more inviting. 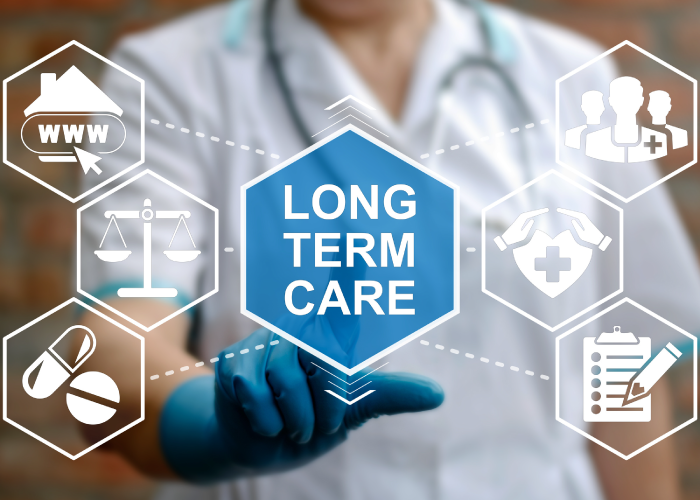 The basis of many emerging long-term trends is rooted in a holistic approach to long-term care. To understand the significance of long-term care trends, we must first understand what a holistic approach is. Many, but not all nursing homes, are now viewing long-term care in a holistic way. They seek to treat nursing home residents as complex individuals instead of treating only their symptoms resulting from medical conditions. They focus on cultivating wellness and improvement versus illness and maintenance. Humans have many needs. Psychologist, Abraham Maslow, theorized that humans have 5 levels of needs. The basic needs which need to be met first are physical and security. Physical needs include the need for food, rest, and water. Security needs revolve around the need for shelter, safety, and stability. Most skilled nursing facilities try to at the very least meet the basic needs of their residents. They attempt to keep the resident “comfortable” and as healthy as possible but may not focus as much on the rest of their needs. They focus primarily on things like wound care, medication management, and symptom management. This next level of needs according to Maslow are social, ego, and self-actualization. These needs don’t change simply because someone needs long-term care or because they are aging. People in long-term care facilities still need to connect with others, feel good about themselves, and to be creative and grow. Nursing homes using a holistic approach understand this. As a result, they seek to create opportunities for these needs to be met on a daily basis. Here are 8 of the long-term care trends resulting from skilled nursing facilities focusing on a holistic patient-centered care model. Everyone needs a spa day here and there. And, everyone loves to feel like a million bucks after getting a fresh haircut at the salon. If a person with limited mobility was living at home it’s unlikely that they would receive these benefits. People receiving long-term care at home are more likely to focus on getting their meals prepared and receiving help with daily tasks. Added benefits like an onsite salon in long-care make skilled nursing facilities more attractive to potential residents. Some skilled nursing facilities now offer onsite salon and spas to provide residents with experience of receiving these treatments without the hassle of traveling. Some residents are unable to drive or walk, so having an onsite salon and spa allows them to go the extra mile to care for their appearance and their bodies. Salons and spas at skilled nursing facilities provide residents with a sense of normalcy, dignity, and care. Residents with aches and pains also find the spa to be a relaxing and therapeutic getaway. They can get massages, manicures, and even facials. Anyone order room service? One of the latest trends in long-term care is fine dining and room service options. This allows residents to feel like they are actively participating in life instead of just eating to stay healthy and alive. Residents will be served by a waiter, can order from a daily menu, and can snag a table for their friends and family. The food also seeks to make residents feel like they are dining at a restaurant. Meals are served on porcelain plates instead of paper ones or cafeteria trays. The tables are covered with table clothes and decorated with beautiful centerpieces. Some facilities even offer musicians to set the mood of the fine dining space! As they say, “if you don’t use it, you lose it!” Anyone who has worked out for a period of time and then stopped can tell you this is true. For muscles to retain their strength, they must be exercised on a regular basis. This is especially true for the elderly. The elderly are more at risk for falls and accidents due to a lack of exercise and mobility. Wellness-centered long-term care facilities now have physical therapists on-site to counteract muscle deterioration and to prevent falls. These facilities also have gym equipment such as treadmills and dumbbells. They may also offer exercise classes such as yoga and tai chi. These activities can also be modified to accommodate less mobile individuals! Gardens can provide opportunities for engagement and connection for nursing home residents. For some, gardens feel like home and are a cherished past time. Nursing homes with gardens offer residents the opportunity to be engaged with a hobby. They also provide an opportunity for residents to share common interests which promotes connection and socialization. Gardens also promote physical activity which is vital for elderly residents. Gardening practices can also be altered to cater to elderly populations. Nursing homes can install benches, incorporate raised beds, and having an accessible water supply nearby such as a hose. Gardens are also helpful for residents with dementia. Gardens allow these residents to interact and express themselves in a creative way. Occupational therapists not only address the physical skills of a resident, but also the psychological and social aspects of their lives. The occupational therapist’s main goal is to improve a resident’s quality of life so they can lead more fulfilling, productive, and independent lives. The occupational therapist works with their limitations by teaching them new skills necessary to complete everyday tasks. Occupational therapists are especially beneficial for residents going through stroke recovery, have dementia, or Parkinson’s Disease. Some residents may need help learning how to complete daily tasks with new medical equipment. Whereas, some may need help learning how to manage their finances. Occupational therapists fill these voids and can connect residents with other resources such as a social worker if needed. Occupational therapists onsite at nursing home also help residents to become more involved with the activities the facility offers. By facilitating these interactions and activities, the resident is able to engage with others and enjoy activities in a new way. Occupational therapists also take a patient-centered approach and allow residents to create their own personalized goals. For example, an occupational therapist may help a resident to create a memory book for their family if creating one is set as a personal goal. Most nursing home facilities seek to provide their residents with opportunities for entertainment. Current long-term care trends seek to improve the quality of these entertainment options by going beyond traditional activities such as board games and bingo. For example, some nursing homes are now offering residents musical entertainment mimicking music they enjoyed in their younger years. Musicians may play during fine dining hours or put on special events for residents to enjoy. Residents are free to dance and sing along with some musical guests as well! Residents with dementia or Alzheimer’s can benefit greatly from listening to music from their younger years. This is because people with Alzheimer’s internal lives mostly consist of distance, long-term memories of their youth. Nursing homes can provide opportunities for memory care residents to connect with these memories through objects, music, or visual surroundings. This type of memory care is leading the way in improving the lives of these residents. Nursing homes may also have onsite movie theaters. These movie theaters are equipped with reclining chairs, projector screens, and even popcorn in some cases! Updated art projects are also trending in long-term care. Art projects can help to improve residents’ cognitive abilities, motor skills, and coping with change and anxiety. Some of these updated art center activities include pottery classes, painting classes, and jewelry making. Some facilities are even putting on carnivals for their residents complete with funnel cakes, clowns, and face painting! Another nursing home trend in long-term care is the inclusion of technology. Some nursing facilities now offer their residents free and accessible Wi-Fi. Technology can help these residents to stay in touch with relatives, learn new skills, and keep up-to-date cultural events. Some nursing homes also offer YouTube activity time where residents watch comedy skits or study genres of music. Technology is also helpful for residents with dementia and Alzheimer’s. Many apps for this population exist which seek to create familiarity for these residents. This is achieved, for example, by creating a virtual storybook of memories using film, music, and photos. Nursing homes can also use technology to allow residents to experience new and fascinating places. Or places that are familiar such as their childhood homes using apps like Google Earth, for instance. Other useful technologies used in some skilled nursing facilities include wearable tracking necklaces and fall alarms. These devices let nurses on staff know exactly where a resident is at all times. This is especially vital for residents with memory conditions that would cause them to wander and potentially get lost. Wearable, button-push fall alarms also provide fall-risk residents with a greater sense of independence. It can also give their families peace of mind to know if they do fall a nurse will be called to help them immediately. Many skilled nursing facilities now offer their residents transportation to health care appointments. In some cases, transportation to church, lunch, and family events is also available. One of the biggest concerns for a new nursing home resident is a feeling of being isolated. Especially, when they are unable to drive which includes more than 95% of nursing home residents. They fear losing their independence completely without the ability to drive. Understandably, they worry that they will have less access to their normal daily lives which can be a challenge. Skilled nursing homes with transportation options can help to alleviate these fears and challenges. Skilled nursing facilities that put these long-term care trends into action may also offer educational opportunities for families and residents. They may provide educational programs or workshops or be willing to speak with the family one-on-one about individual care needs. They also offer ongoing support for both the resident and the family. If you’re loved one is in need of long-term care, then make sure to thoroughly research the skilled nursing facility beforehand. Schedule a tour and speak directly with the staff to learn about their programs and amenities available to residents. Long-term care doesn’t need to be impersonal. With the right long-term care facility, your loved one will eventually feel right at home and more focused on creating a fulfilling life. Do you live in Michigan and need long-term care for you or a loved one? Schedule a tour with one of our centers today to learn more about our skilled nursing and rehabilitation facilities. We focus on a whole-person, wellness-centered approach to long-term care and offer many opportunities to meet your loved ones daily needs.